Music and books: each has the ability to transport you to another time, another place. And when the two are combined, as author G. Brown did in two recent volumes on Colorado’s rock and roll history, it brings together a unique, intriguing look into our recent musical past. 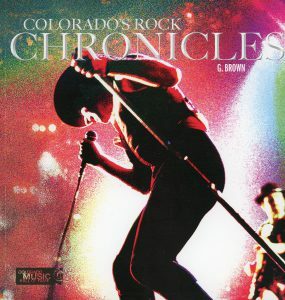 Brown’s Colorado’s Rock Chronicles and Red Rocks: The Concert Years, both published by and benefitting the Colorado Music Hall of Fame, offer a wealth of knowledge and a collection of photographs that include some of the most notable musicians in rock music playing at one of the most iconic amphitheaters. And these are just two of the long list of books reviewed in this year’s 20th annual book review issue. Read on. We’re sure these books will rock your reading list. The music from the 1950s to the present includes such an amazing array of styles, talent and culture that shaped our nation and the world in numerous ways. And Colorado and its residents have played an important role in many of the artists and bands that led each era. In Colorado’s Rock Chronicles, G. Brown gifted readers with a beautiful, revealing collection of how the Centennial State inspired and informed the rock ‘n roll genre in the past 50 years and how that genre, in turn, shaped the state. Within the book’s 250-plus pages, Brown explores a behind-the-scenes look at nearly 150 musicians and bands using photos and text that bring each vignette alive. From Chuck Berry, who was inspired after a Denver concert to write Sweet Little Sixteen, to John Denver, whose stage name was derived from his favorite city, to others like Elvis Presley, the Beatles, the Fray and the Lumineers — these and more are captured in this unique coffee-table publication. Detailed interviews and up-close, rare photos were gleaned and compiled through the decades to create the book, and it is clear the author did his research. His extensive career with The Denver Post, magazines such as Rolling Stone, and as a radio personality also add to his credentials. Purchase your copy through the Colorado Music Hall of Fame in Morrison and at cmhof.org. “It doesn’t matter who’s on stage. Red Rocks is the star,” says author G. Brown about the impressive red stones that soar into the sky just outside of Denver. 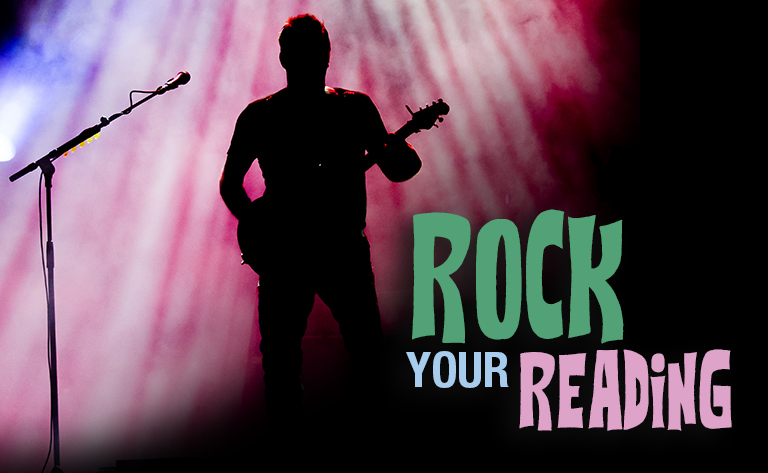 Now known as Red Rocks Amphitheatre, it is truly a legendary outdoor venue. And while this stunning natural formation existed long before any of us can remember, the current facility has not always looked the same. 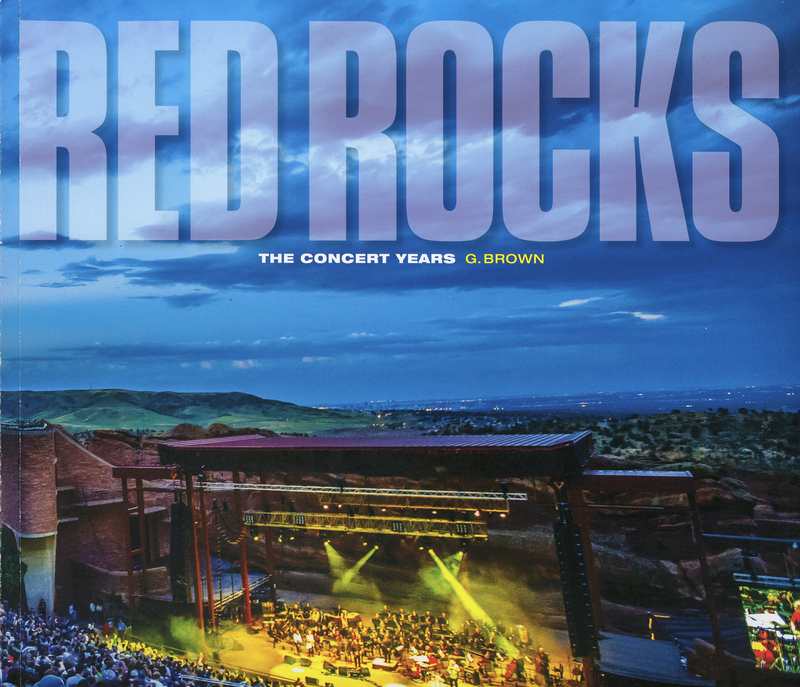 In the majestic coffee-table book Red Rocks: The Concert Years, Brown gathered the history of the locale, behind-the-scenes stories from artists and concertgoers and gorgeous photos of Red Rocks. The publication opens with a foreword by Rock and Roll Hall of Famer Carlos Santana, then launches into the journey of how this one-of-a-kind setting became what it is today. Beginning in 1870 when a Jefferson County judge tried to get the name Garden of the Angels to stick, the story continues to 1906 — when the first recorded concert was played by a brass ensemble — and then beyond to reveal a fascinating history of the area. From there the comprehensive volume includes more than 200 performer interviews, hundreds of beautiful images, and a wonderful look at the glory and challenges of this unique open-air venue. Brown, who is the Colorado Music Hall of Fame director, crafted a fabulous read about a place everyone, including the Beatles, Dave Matthews, Steve Martin, John Tesh and so many more, sought to perform. 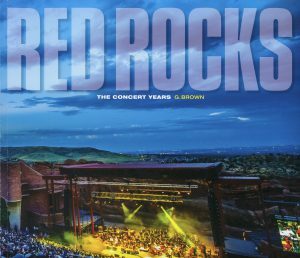 Visit the Colorado Music Hall of Fame at the Trading Post at Red Rocks Amphitheatre to purchase the book or visit cmhof.org. Jane Austen was thinking of nothing else except completing her latest work — Emma — when she was summoned to His Royal Highness the Prince Regent’s palace. Assuming her visit would strictly consist of the required pleasantries and socially acceptable conversation, Jane was taken aback when she stumbled on a war hero who dies in her arms. To add even more complexity to the strange event, the notable Waterloo colonel chokes out mysterious last words to her before dying. Being the inquisitive and independent-thinking woman she is, Jane then determines to uncover the truth of why the man died and what he was trying to reveal to her. Jane, who has been taking care of her ill brother Henry, convinces him and her close friend Raphael West to help pursue the truth, although nearly everyone advises her against it. What follows is a dangerous chase to track who Jane believes is a murderer before anyone else is injured or killed. An intriguing, historically-based mystery, Jane and the Waterloo Map immediately warms the heart of any Jane Austen fan. But don’t worry — others who enjoy the Regency Period or prefer a good whodunit will not be disappointed. Author Stephanie Barron, a Denver resident and former CIA intelligence analyst, did her research. 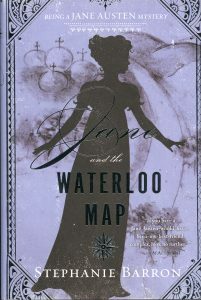 The historical references, language use similar to Austen’s, and overall tone of the book lend a credibility to her writing so that it’s easy to forget the narrative is fictional. This quality period mystery is one of 13 novels in the Being a Jane Austen Mystery series and can be purchased from local bookstores or online retailers. Kate knew there was something different in the atmosphere that morning, but she couldn’t place her finger on it. By the time she realized what was happening, it was too late for her husband and almost too late for herself. Somehow she survived and was left to rear seven children by herself. 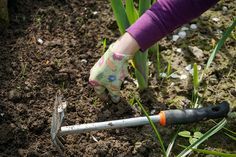 As she struggled to control her own emotions, work the homestead and take care of her kids, Kate began to find out what she was really made of, and saw over and over what a strong community she lived in. The hardships that Kate and her husband faced on their parcel of American prairie in the 1930s were nothing to laugh about. Everyone knew that dust storms, droughts, tornados, blizzards, pests and wild animals were just the beginning of the things that could go wrong in northwest Kansas. But Kate and her husband loved the land and found it beautiful, feeling blessed to be working the land together. But the spring of 1932 started off three long years for Kate, who had to endure more than any woman ever should in an entire lifetime. 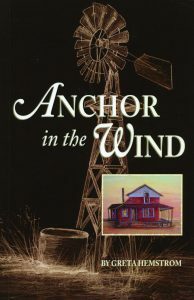 Written as historical fiction, Anchor in the Wind is based on information that author Greta Hemstrom gleaned from her mother’s life in the ‘30s in Kansas, as well as from her own experiences on the prairie and research. 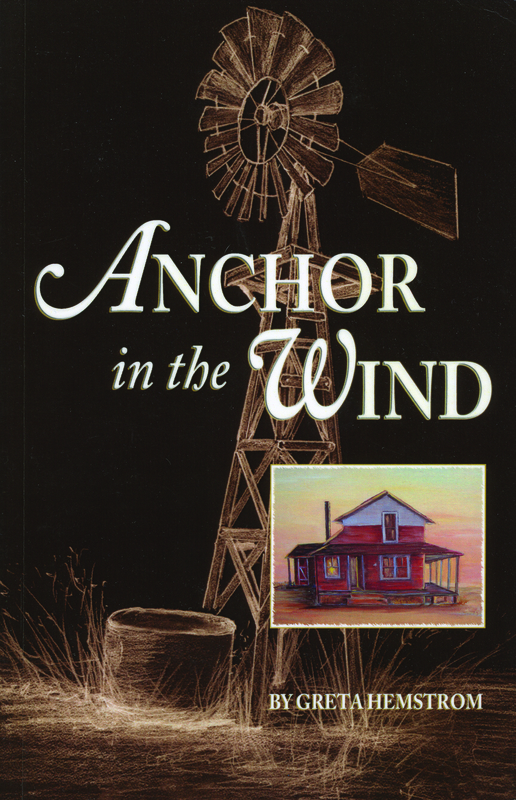 It’s an inspiring story of perseverance and pressing on in the midst of unthinkable tragedy and hardship, a trait many women of that time period had to employ. Hemstrom is a graduate of what is now Colorado Mesa University, wrote for the Olathe Messenger and resides in Montrose. Step back in time with Kate after obtaining the book from Amazon.com. When Emma Jane walked down the aisle in her wedding dress in Leadville, Colorado, in 1881, she was heartbroken and fighting back tears. This was not what she envisioned her life or marriage would look like. But she and her new husband — wealthy and most-eligible-bachelor Jasper Jackson — had no choice. Their virtue and reputations were at stake, after they were trapped in a mine overnight by themselves. Jasper wasn’t thrilled with the situation, either. He dreamed of a happy marriage, one where he was joined with the love of his life, not someone who he believed tricked him into getting married. Perhaps their friends were right, though. Maybe they could develop a friendship and at least have an amicable relationship. The obstacles that loom in front are great though: In-laws who are less than thrilled about the marriage, dangerous bandits who are terrorizing the town, and an orphaned baby that seems to drive another wedge between Emma Jane and Jasper. This is just the beginning of what the newlyweds must face. Amidst it all, they often wonder if the fight to stay and work on their marriage is even worth it. 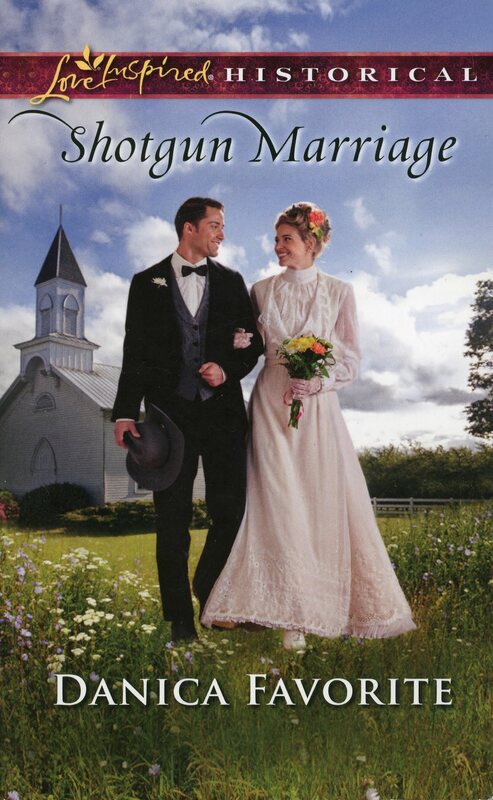 Shotgun Marriage is a charming tale of what can happen if two people surrender their hurt, anger, resentment, and feelings of unworthiness and, in turn, trust God to fill and direct their lives. You’ll certainly want more of Denver author Danica Favorite’s writing, and thankfully the novel is one of four in the Leadville historical romance series. Favorite says she was inspired to write the series when she read in an 1880s Leadville newspaper about two pastors who were debating whether or not miners were beyond salvation. Follow this story, found at bookstores online, to see if true love can really blossom from the most unwanted circumstances. Gracie Kinkaid is one of those people who loves and dedicates herself to her job as a camp manager and her volunteer position with the mountain search and rescue team in Timber Creek, California. 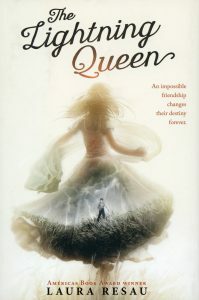 In fact, she rarely has time for anything else, that is until one of her searches results in a friendship with an 11-year-old runaway whose family is not quite what one would call loving and endearing. Gracie’s natural curiosity leads her to try to help the runaway, but she finds herself further and further down a path that seems to be more dangerous at each step. Struggling to connect all the dots and figure out what really happened, Gracie becomes entangled with the runaway’s gun-enthusiast, antigovernment, hate-filled family. Despite her own misgivings, Gracie just can’t seem to stay out of trouble and begins to discover new things about friendship, finding oneself and dealing with past hurts along the way. 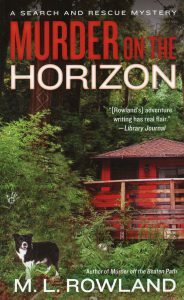 Murder on the Horizon is one of those books that makes you continue reading well past midnight when you know that you should be asleep. The fast-paced, exciting storyline makes for a great weekend or vacation read. 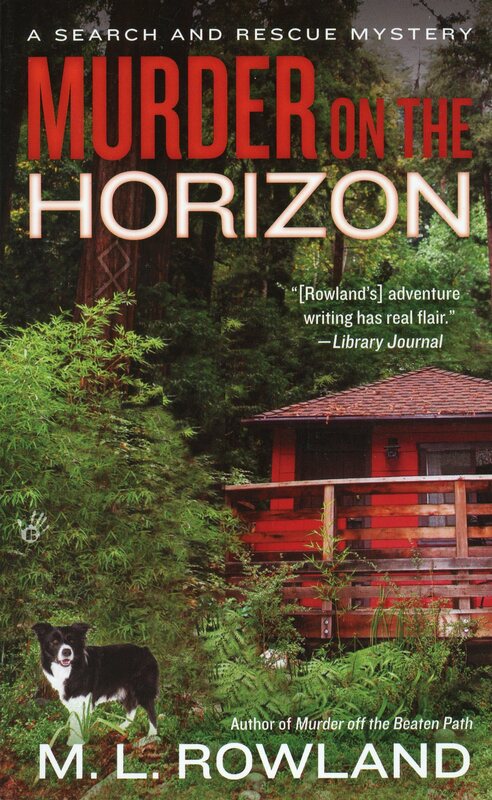 Author M. L. Rowland, who wrote two other novels in this Search and Rescue Mystery series, resides on the Arkansas River in Colorado. Available at local retailers and online, this novel was a finalist in the 2016 Colorado Book Awards’ mystery category. It took a strong push from her best friend for Maggie Sullivan to realize she needed to get away. The stress that she was under really began to wear on her, especially in the moment when she looked around and remembered she was sitting in a hospital stairwell sobbing. Her neurosurgery practice was closed, her hours in the emergency room were terrible, she was being sued, she miscarried her baby, and to top it off, she and her boyfriend broke up. Life was not shaping up the way she pictured it. So where should she go to relax and try to figure out her next steps? The only place she could imagine: Sullivan’s Crossing. Her father’s family built and operated the campground and country store for generations, and the peaceful retreat welcomed camping families and hikers, many who were traversing part of the Continental Divide Trail. Not long after Maggie’s arrival, though, her quiet retreat quickly turned into a near-tragedy when her father had a heart attack. And as if she doesn’t have enough to handle, Maggie and mysterious hiker Cal Jones strike a connection. Immediately wary, Maggie struggles to keep Cal at arms’ length. With opinions at every turn and her own emotions upside down, Maggie spends months in this beautiful Colorado setting, surprised at how her situation is unfolding, yet somehow both at peace and holding back from what she knows she needs. 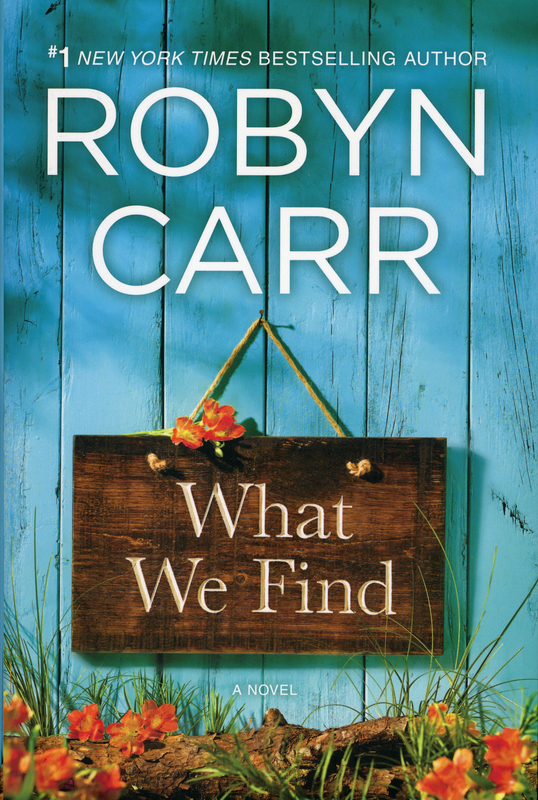 New York Times bestselling author Robyn Carr’s heartwarming tale, What We Find gives readers a beautiful glimpse into one woman’s journey to find what truly brings her joy. The fictional story is rich with details and wonderful character development, making Maggie and those surrounding her come to life. Find it at local bookstores and online. Freelance journalist Sebastian Wren’s day starts like any other workday. In order to prep for an interview for his magazine article, Sebastian reviews the questions he will ask and then heads out. But when he arrives at Judge Aaron Meckler’s home in Cherry Creek to discover the public official just committed suicide, Sebastian’s day takes a complete 180-degree turn. When he sees the judge’s daughter, Adrianne, arrive at the residence quite distraught, Sebastian keeps a close eye on her and ends up helping get her art gallery ready for its inaugural participation — only one week away — during First Friday, when galleries, shops and restaurants on Santa Fe Drive stay open late. Despite the lack of evidence that foul play occurred at her father’s death, Adrianne is convinced he did not commit suicide. And the more time Sebastian spends with Adrianne, the more he begins to suspect something bigger is going on, too. As he and Adrianne prepare for the gallery event and try to uncover what really happened to the judge, additional “suicides,” vandalism and other unusual events lead them down a suspenseful and sometimes-dangerous trail. Follow the leads in Fat Chance as each page of the book feels like an intriguing diary of an investigative journalist’s day. Woven throughout this modern-day fictional mystery are specific references to locales and characteristics of Denver, bringing a likable community aspect to the realistic premise of the novel. Author Steven R. Bergers is well-acquainted with the city. His time selling advertising, teaching copy writing, penning a Denver Post column and crafting articles for several magazines all inform his ability to write captivating novels. 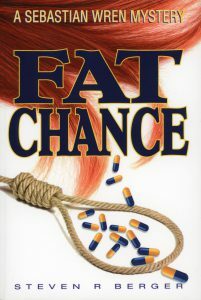 Fat Chance is his fourth book and is available online. The Colorado wilderness is an immensely beautiful place, which is one of the reasons Pru Hathaway and Amy Raye Latour love the mountains and spend a significant part of their free time in them. But many areas of the state are also extremely harsh and not places amateurs should venture into on their own — another fact both of the strong, independent women are well aware of. But this understanding of the dangers and their respect for nature is challenged when the last weekend of elk hunting season takes an unexpected turn. Amy Raye is enjoying the solitude and thrill of the hunt with two of her buddies when she decides to venture out on her own. 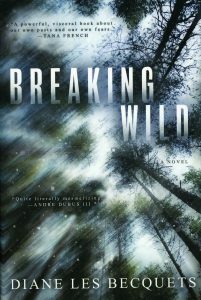 In the midst of her chase of a stunning animal, things take a turn and lead Amy Raye down a long journey that uncovers much she thought was hidden. When she doesn’t return to camp, Amy Raye’s friends realize she must need help and call the ranger for a search and rescue team. As Pru, her dog Kona, and the search team quickly organize and look for Amy Raye’s trail, they begin to sense that the search will not be easy. Weather does not cooperate, and the longer Amy Raye is missing the more concerned Pru becomes. As everyone else’s hope fades, Pru cannot forget about Amy Raye and becomes driven to find what really happened to the young mother of two. Written in an intriguing back and forth style between Pru and Amy Raye’s perspectives, the suspense in Breaking Wild continually builds as Pru remains focused on discovering the truth behind Amy Raye’s disappearance. The way author Diane Les Becquets makes you feel the snow sting, sense the surrounding darkness, and envision the sunshine glisten through the trees is clear evidence that Les Becquets draws heavily on her own experiences to write the heart-wrenching novel. Her time spent as an assistant archaeologist in Colorado, the 14 years she lived in Meeker (on which she based Rio Mesa, the central town in the novel), and the numerous adventures she encountered in the outdoors — like when she tracked an elk for hours in the rain and snow — all enhance the depth of the story. Become immersed in Pru and Amy Raye’s journeys by purchasing the book at local bookstores and online retailers. Peace within Israel’s borders is always hanging by a thin thread. Rae Jordan knew that when she agreed to transfer there as a U.S. Diplomatic Security Service agent. But she didn’t expect to be caught in the middle of a multinational and multiagency conflict. And she certainly didn’t anticipate it within a day of her arrival. In fact, she was readying herself to assist with the peace talks that were scheduled to occur in a week with Palestinian, Israeli and American leaders. But that quickly became the least of her worries when her predecessor was murdered and an American judge and his teenage daughter were nearly killed in Tel Aviv. With barely any training on the country and her locale, due to a personal issue with her boss, Rae is basically thrown into the lead position of an investigation that seems to change direction every few hours. 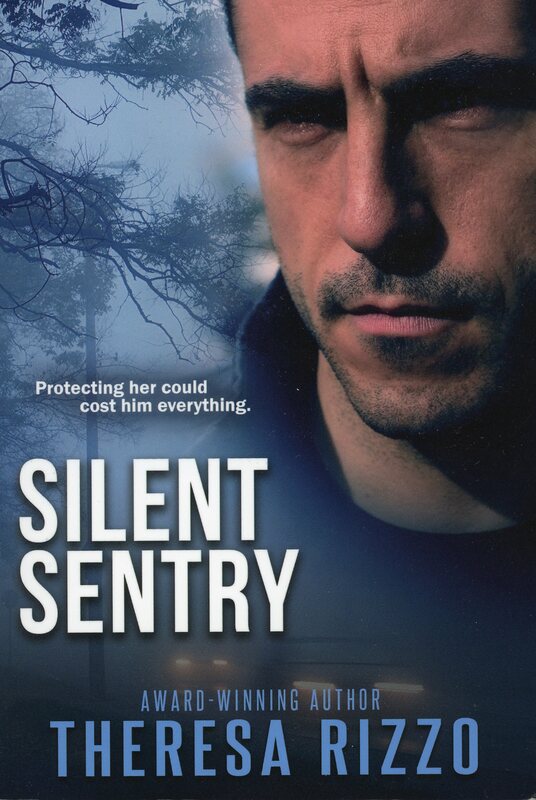 Rae desperately tries to follow leads and protect the judge and his daughter, often with minimal help from her own or other local agencies, and begins to discover serious threats for the peace talks and possibly something even more sinister. In many ways, Dark Waters feels like it could be the dramatic retelling of actual events because the people, places, motivations and political agendas within author Chris Goff’s novel are well researched and realistic. With fictional plot lines that follow not only Rae and her investigation, the judge and his daughter — who are in Israel to cure the daughter’s health issues — as well as a Palestinian father just trying to keep his family safe, every page of the story is jam-packed with action and suspense. It is surprising that the novel is the Colorado author’s first thriller, but her career as an award-winning mystery writer and newspaper columnist clearly prepared her for success. Check out this thriller finalist in the 2016 Colorado Book Awards by grabbing it from a local bookstore or ordering it online. 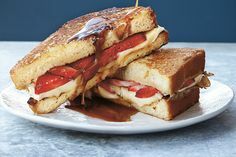 When American journalist Nellie Bly walked up to Bat Masterson’s table at the diner, he was a bit surprised, but was immediately taken back to memories of the 1890s when they first met. The train they were riding — Nellie incognito to attempt a relaxing holiday and Bat transporting an outlaw — was stopped to be robbed by Doc McCarty’s gang. Let’s just say the situation became very interesting very fast, and the resulting adventure across the Wild West was something Nellie and Bat didn’t soon forget. At the same time as the train robbery, near Hot Springs, South Dakota, three teenage newspaper reporters were finding trouble of their own in a newly developed tourist stop called The Wonderful Wind Cave. Sisters Minnie and Laura and friend Alvin stumbled upon a body in a yet-unexplored portion of the cave and were immediately hooked into investigating who it was and how the man ended up there. Little did they know their digging would lead them into a partnership with celebs like Nellie Bly, Bat Masterson, Buffalo Bill, Annie Oakley, a young Will Rogers and John Philip Sousa in an all-out clash with one of the West’s most notorious gangs. A creative combination of murder mystery, western novel and historical fiction, And the Wind Whispered offers a captivating and imaginative look into the famed Wild West and into what might have happened if the notorious characters merged together in the Black Hills. The substantial paperback at 392 pages might appear heavy at first, but the pages seem to fly by as the action never ceases. Author and seasoned writer Dan Jorgensen grew up in South Dakota and now resides in Broomfield, Colorado, where he continues to write novels, magazine articles, and his blog, A Writer’s Moment. 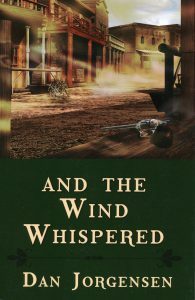 Available online, And the Wind Whispered, his seventh book, is a 2016 finalist in the Colorado Book Awards’ historical fiction category. Hannah Parks thought she finally had the life she dreamed of: a loving husband, plenty of money, a plan to start a family, a safe home — one that was far from the life of fear and rage she knew as a child. Then everything changes in an instant. The words her husband Dallin says in his sleep are so out of the ordinary, she tries to believe they are purely from his dreams. But she can’t let it go and soon begins to discover that they are from a real nightmare, one that entangles her all the way into her past. 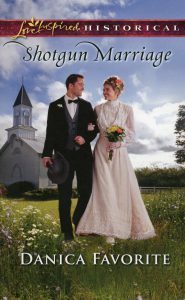 As Hannah begins to dig down to the truth of her and Dallin’s lives, everything quickly takes a turn for the worse when Hannah is nearly abducted by orders of her supposedly loving husband. 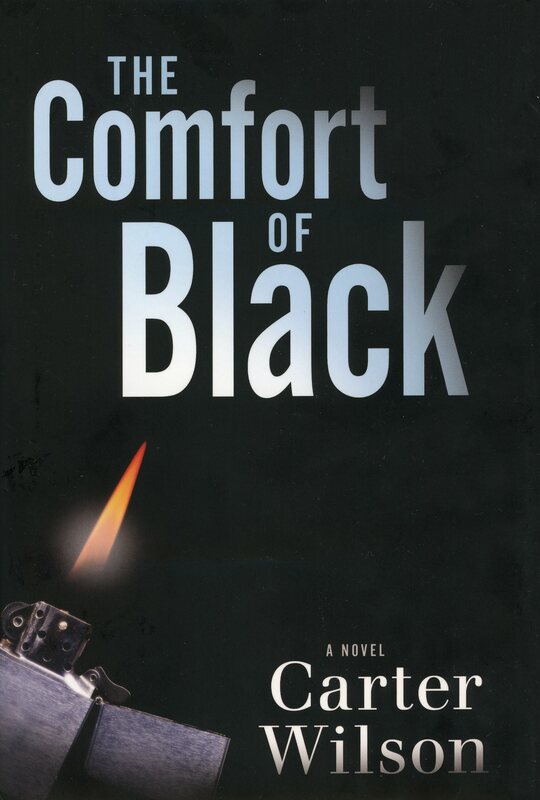 She is rescued by a man named Black, whom she reluctantly trusts to help her hide and attempt to find out what is really behind the unbelievable mess her life became. 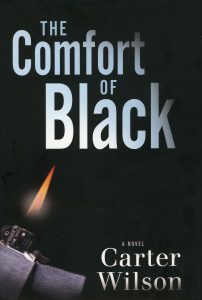 Every step of this heart-pounding thriller, The Comfort of Black, brings surprise after surprise and twist after twist, until the paranoia of Hannah and Black seems real and necessary. It is easy to see why this quick, exciting read is the 2016 thriller winner of the Colorado Book Awards. Author Carter Wilson, who writes from his home near Boulder, has two additional books under his belt and a fourth due out in December. Find the thriller at local bookstores and online. Gianna Donnatelli’s and Joe Scarfili’s families had been close as long as they could remember, but nearly 10 years passed since Gianna last saw Joe. Lying in a Detroit hospital room in an ugly gown was not how she pictured a reunion. But since she was attacked in her father’s own home and could barely move without getting nauseous, she didn’t have much of a choice when the young, and very handsome, doctor walked in. Dr. Scarfili has been devastated by love in the past, but his fondness for Gianna is immediately evident, and he soon finds himself desperately wanting to protect her from what appears to be some kind of threat to her or her father. As Joe learns that Gianna’s company is about to go public with a world-changing medical product, he begins to do all he can to keep her and her company safe — if only Gianna would simply allow him to help and try to keep herself out of harm’s way. 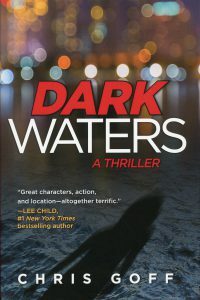 As Joe and Gianna get to know each other and fill in missing details from their past decade apart, the attacks on Gianna escalate and begin to turn deadly, leaving all involved on a race to uncover who could possibly be behind the attacks. Gianna, however, is not one to run scared. Silent Sentry is a definite page-turner that leaves the reader eager for more of the characters even after the novel wraps up. Boulder resident and author Theresa Rizzo expertly weaves in her hometown of Grosse Pointe, Michigan, a suburb of Detroit, as the setting for the novel and takes into account details and historical information about the city and neighborhoods that really ground the story. Buy the book online to step into Joe and Gianna’s world. Melody, Geneva and Obi all knew a storm was coming. But the needs of their own lives seem to eclipse the magnitude of what was really happening. At least the insightful and mystical Pisa, who guides women through their life journeys, sensed the threat of the storm and each of their responsibilities in its consequences. But it was difficult for the three to hear her warnings and teachings through their own troubles. Unfortunately, if they aren’t careful the results could be disastrous. Perched among three rivers in the Mississippi Delta, the once-thriving farm quickly becomes the epicenter of the storm that drives the unlikely trio together. Melody, whose career with a dreadful Christian band was all but over anyway, leaves mid-tour to return to the farm after a message from her mother informs her that her father is dying. Reluctant to face her family dysfunction but dutiful regardless, Melody braces for what is sure to come. Knowing her daughter will make it home, Geneva leaves — as she always does — and seeks out Pisa to enlighten her journey before she dumps her lover. As the storm approaches, Obi and his son hide out on the farm to hopefully avoid the awful accident that threatens to destroy everything Obi worked so hard to protect. As floodwaters rise, thunder and lightning aren’t the only things that clash in this deep part of the south. 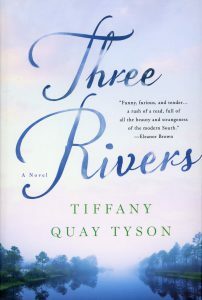 In Three Rivers, Melody, Geneva and Obi must face the present, deal with the past and prepare for the uncertain future as the storm of the century bears down on the worn-down house and their worn-down lives. A 2016 Colorado Book Awards’ finalist, the novel weaves these three lives into a fascinating tale that is both weighty and mystical. 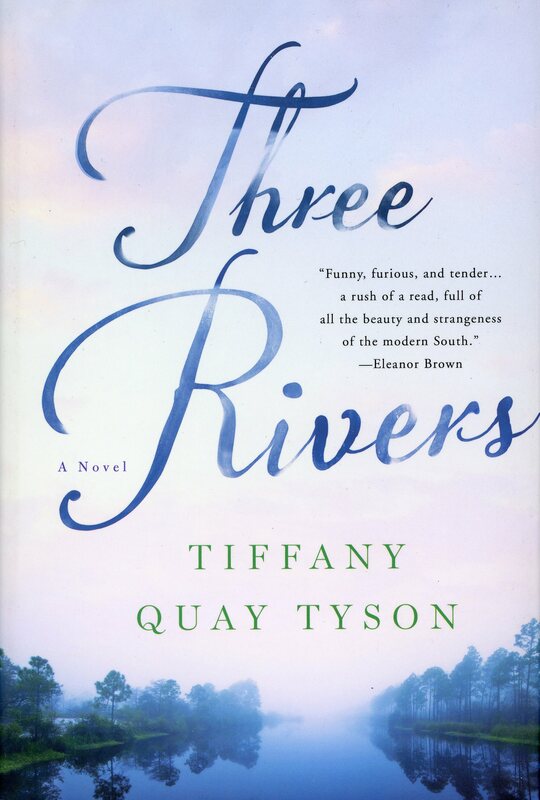 Denver resident Tiffany Quay Tyson enriches the tale with a range of emotions that pull the reader into each page of the book, which can be found at local bookstores and online. Deputy Mattie Lu Cobb called the small town of Timber Creek, Colorado, home since childhood, and she’s proud to serve the citizens as a police officer. Especially now as the first K-9 handler in her department, she is even more satisfied with her work and pours herself into it. Her training with German shepherd Robo was extensive and Mattie is ready to go to work with her partner, cracking down on the drug trafficking that was the catalyst for a K-9 unit. What Mattie didn’t anticipate was being immediately called to a scene where she finds a young girl murdered, no real leads and danger for herself. 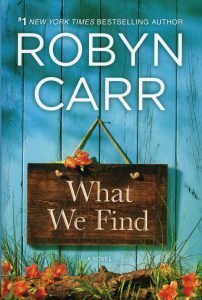 As Mattie, Robo and her department work feverishly to uncover the mystery surrounding the teen’s unthinkable death, everyone must re-evaluate who can be trusted in the tiny community. Thrown together in the investigation with Mattie is the local, recently divorced, veterinarian Cole Walker, along with his daughters, one of whom was good friends with the late teen. Each step Mattie and Robo take unearths more complications and more secrets that Mattie never knew existed in the mountain town. 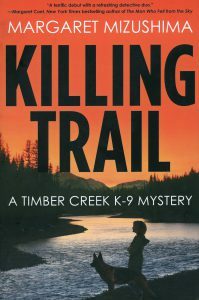 A gripping read made even more interesting by the use of an intelligent, loyal dog as a main character, Killing Trail is much more than a simple whodunit. 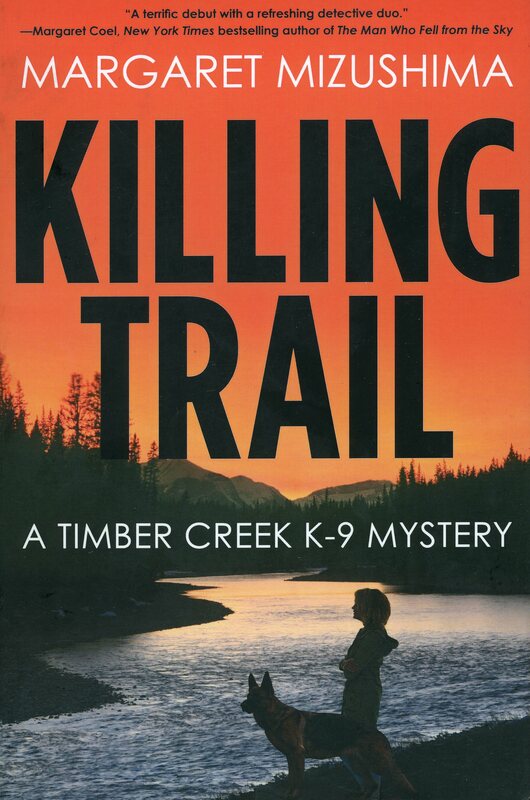 Author Margaret Mizushima, who resides in a small northern Colorado town, brilliantly uses her experiences gleaned from ranch life and from her husband’s veterinary clinic to inform this first novel in the Timber Creek K-9 Mystery series. (The second in the series, Stalking Ground, was released in September.) 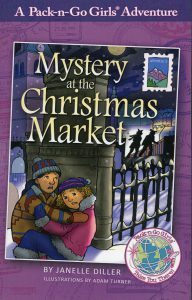 Start investigating with Mattie and Robo after ordering either book online or through a local bookstore. The drama that unfolded during the 1932 Winter Olympics bobsled races in Lake Placid, New York, was extraordinary. It was, by all accounts, a miracle that the bobsled events even occurred considering the circumstances. And yet, the story of how the four “fastest men in the world” came together for this famous occasion proves to be just as dramatic, and perhaps even more so. They were passionate and speed-driven Billy Fiske, movie star Clifford “Tippy” Gray, heavyweight boxing champion Eddie Eagan and gambler Jay O’Brien — not a single person could have predicted this group, let alone the outcome. And yet the results were spectacular. To fully understand the peculiar sport of flying down a smooth track on a narrow piece of a sled and how Fiske was drawn into this need for speed, the story begins in Europe in 1888. At that time, an Englishman, out of sheer boredom, strapped toboggans together and raced down the mountain and, thus, bobsledding was born. From there, Fiske’s story unfolds, starting with racing cars, then bobsledding at the Olympics, investing in Aspen in 1936 by building the first ski lift and lodge, and eventually flying fighter planes for the Royal Air Force to fight the Nazis during WWII. And as if his life doesn’t sound daring and theatrical enough for a novel unto itself, the other men involved in the sport are just as captivating. Combined, their tales create a fascinating backstory for the history-making bobsled race in 1932. Author Andy Bull leaves no stone unturned in the history of Fiske’s life and the third Winter Olympics. This senior sportswriter for The Guardian takes a couple of bobsled runs and breathes life into the story, unearthing tales of gambling, immoral activities, fierce competition, a boxing match with renowned Jack Dempsey (who was featured in CCL’s October 2005 issue), heavy politics, family rivalries and much more. 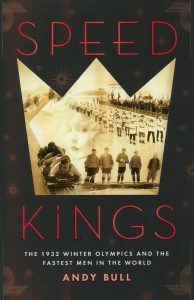 Fulfill your need for speed by purchasing Speed Kings online and at local bookstores. 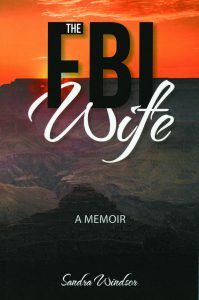 Life as part of the FBI sounds intriguing, exciting and full of purpose — at least for Sandy’s husband, Cliff. Sandy, on the other hand, considers it terrifying, lonely and full of unknowns. She dreads the uncertainty of his work trips, the phone calls she has to answer from dangerous informants, his always-on-call status, and her seeming lack of choices about her and her family’s life. Sandy’s autobiography begins in the 1960s as she and her husband excitedly embark on his career within J. Edgar Hoover’s FBI. As events such as the tragedy of President John Kennedy’s assassination unfold, Sandy quickly learns she and her family are basically subject to the FBI’s bidding. Sandy struggles to understand her place in history and in her husband’s career, and the following years are a mix of joy and challenges as the family moves every few years to a new location, including Glenwood Springs and Grand Junction. Her story is one of historic events and personal challenges, one of desiring something out of reach yet trying to thrive where planted. 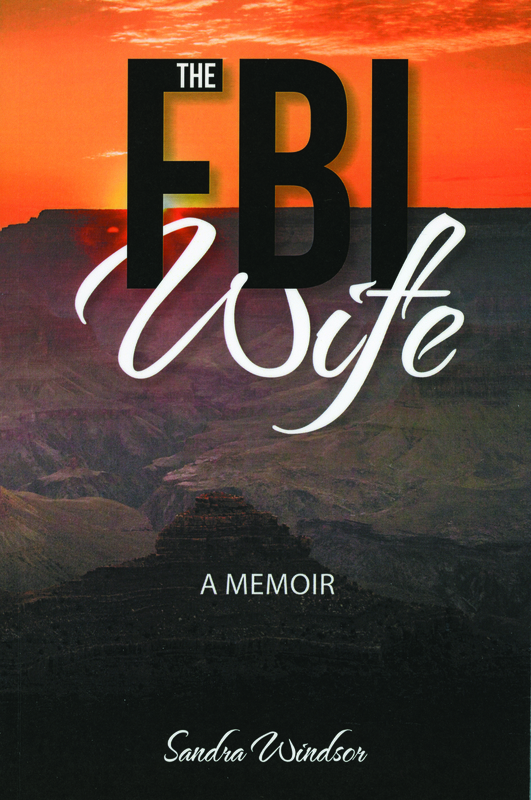 In the beautiful and honest memoir The FBI Wife, author Sandra Windsor takes readers on her emotional journey of despair, depression, hope, love, grief and more as she ultimately searches for self-identity, independence, stability and confidence. Her candid storytelling makes it feel as if she’s sitting on the couch sharing her life, and it is quite the dramatic one. She even includes Cliff’s experiences when Ted Bundy escaped from the courthouse in Aspen and when dealing with illegal drugs in Aspen. A Denver resident, Sandra teaches writing at Colorado Technical University. Order a copy online to start the journey of Sandy’s FBI life. Like many people who hear the “c” word from their doctors, Kari Ward never expected to receive a breast cancer diagnosis, especially since she just had a clear mammogram three months before. But there it was, an aggressive form of cancer that required a double mastectomy followed by six rounds of chemotherapy. Kari, her husband, and her four children tried to take the news in stride by leaning on their strong faith that God would carry them through the ordeal. And He certainly did. But Kari’s journey was not easy. In fact, what seemed to be a routine treatment plan and what started out as relatively symptom-less chemotherapy quickly turned into some of the darkest times of Kari’s life. Through six surgeries in one year, which included — not the expected two, but — three mastectomies, six chemo rounds, an infection by an extremely rare bacterium, not to mention challenging emotional turmoil, Kari walked an extremely difficult road. But every step of the way she saw and experienced God’s presence and His love helping her along. 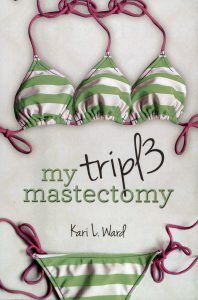 Available for purchase online, My Triple Mastectomy was written by author Kari L. Ward. Using journal entries she began the day of her diagnosis, Kari weaves her inspiring story straight from her heart. She honestly and, sometimes humorously, opens up about her medical diagnosis and treatments as well as her emotional and spiritual journeys in hopes that she can help and encourage others who must deal with cancer. Kari is a graduate of the U.S. Air Force Academy and Air Force veteran, and lives with her family in Colorado Springs. If there’s one thing that can bring people of all ages together, it’s paper airplanes. It seems that no matter what age, gender or personality, everyone loves to build and fly them. The talent each of us has can be an entirely different story, but thanks to Amazing Paper Airplanes, the sky is the limit on what can be built. The nearly 200-page book combines the art of origami and the science of flight in a fascinating step-by-step instructional. From the classic glider to the space shuttle and a twin-engine airliner to an F-14 Tomcat, the 23 included designs are both a fun experience as well as a chance to learn about aerospace technology. After a brief introduction about basic folds, best materials to use and how things fly, the publication takes off into four divisions of designs: basic, simple, intermediate and advanced. Each design includes a real photograph of the plane, an image of the completed paper model, and both visual and textual instructions. Color templates of each design are included in the appendix, making it even easier to copy and fold the planes. Author Kyong Hwa Lee, who has more than 25 years’ experience in the aerospace industry, designed over 100 unique paper airplanes. And lest the idea seems too daunting for those of us with no knowledge of flight, Lee did a great job of giving clear, easy-to-follow instructions. Even this novice airplane folder was able to create the advanced designs. 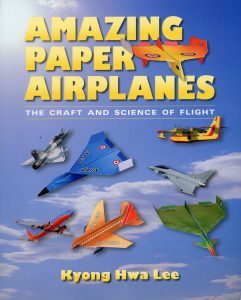 After perfecting the models showcased in this book, check the author’s website for additional designs and templates at www.amazingpaperairplanes.com. 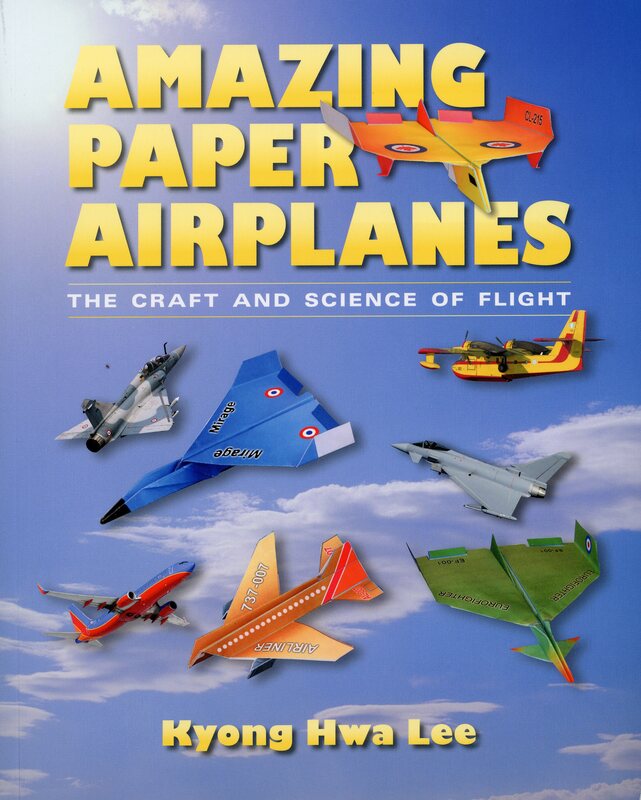 Fly on over to your local bookstore or online retailer to begin crafting the airplanes. Twelve-year-old Mateo always looks forward to his summers on the Hill of Dust in rural Mexico, where he suspects everything has been the same for 50-plus years. There’s just something about the place that draws him in. This summer was certainly no different as he left his home in Maryland to visit his grandfather and other relatives. But he had no idea that his life would be completely transformed when his grandfather asks him for help and shows him a necklace with what looks like shiny coins on it. As they sit in his grandfather’s old healing room with its dirt floor, suddenly Mateo is magically transported to the time when his grandfather, Teo, was only 11-years-old, struggling with the loss of his twin sister and the depression of his mother. At first he feels as if he’s watching a movie of Teo’s life, but then Mateo seems to become Teo, feeling what he felt and experiencing what happened so many years ago. It’s there that he meets the mesmerizing and soul-inspiring Esma, the Gypsy Queen of Lightning, who begins to change everything for Teo, his family and even Mateo. A book all about hope, achieving the impossible and following your dreams, The Lightning Queen is beautifully written and was appropriately named the Colorado Book Awards’ 2016 juvenile literature winner. Born of Fort Collins’ author Laura Resau’s experiences in and study of rural Mexico, the enchanting novel—perfect for grades 3-7—was further inspired by true stories from the Mixteco Indians’ and Romani’s cultures. Included in the appendix is a glossary and pronunciation guide, again highlighting the rich, important history of these two people groups. Head to your local bookstore or order online to find your copy. Donovan Curtis never imagined he’d spend any part of his middle school career at the Academy of Scholastic Distinction, known as ASD. More importantly, no one else could have imagined that either. That was a school for geniuses, not troublemakers and someone voted by his classmates as most likely to wind up in jail. Yet that’s where he found himself, miraculously, instead of suspended or expelled after what some might be calling the biggest catastrophe ever in the Hardcastle school district. His only problem now was trying to convince the teachers and those geniuses who actually belong at the ASD that he somehow belonged there, too. But it certainly wouldn’t be easy, as he found out on his first day when he nearly broke a robot his classmates had been building for months. And then there was his family situation, which wasn’t making life any less stressful. His very pregnant sister moved back since her husband was off fighting a war and, to top it off, his sister’s dog seemed to like no one but him — so he was stuck taking care of her. But despite the challenges, he had to at least try to be what others hoped he was and, perhaps, may be, Donovan could leave behind his prank-prone self and find some hidden talent that the ASD might recognize. Funny. Insightful. Entertaining. 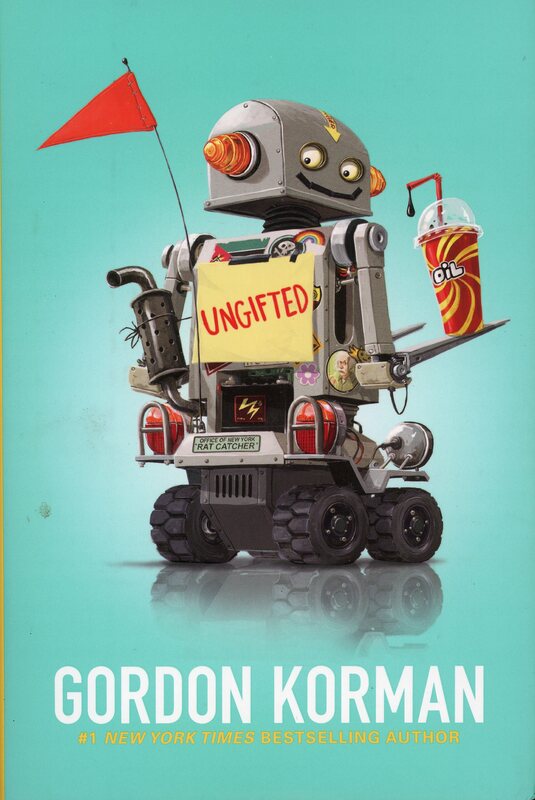 Ungifted by New York Times bestselling author Gordon Korman is all of that and more. 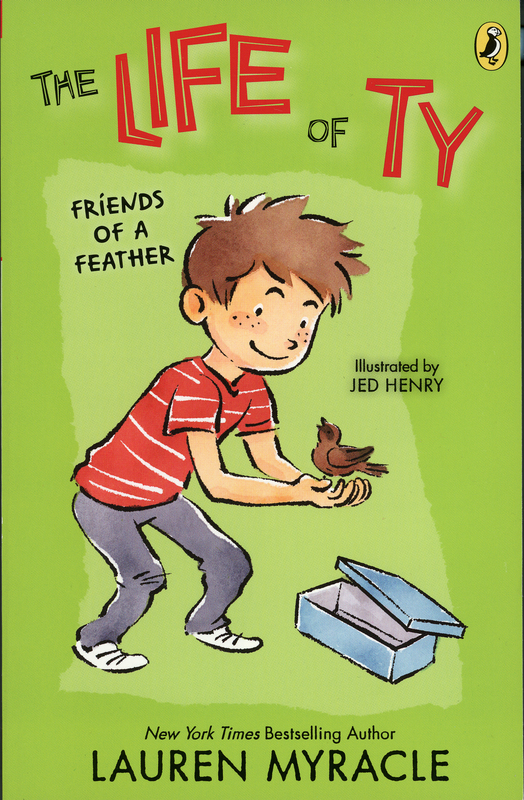 Perfect for children in grades 5-8, the witty novel wonderfully captures the awkwardness of middle school, the struggle to fit in, and the fun of one young boy’s adventures as he attempts to make things as right as possible in spite of his calamitous tendencies. Not surprisingly, Korman wrote his first novel in seventh grade and actually had it published by the time he reached high school. See whether prankster Donovan actually makes it in the gifted program by cracking open Ungifted, found online and at local bookstores. A little ninja, all stealthy and quick, seems to have boundless energy in Ninja, Ninja, Never Stop! as adventure appears at every turn of the page. From hiding from the family dog to charging a menacing balloon to blocking Granny’s kisses, little ninja takes each task seriously and can’t seem to stop. But when the sneaky ninja is surprised by little brother, ninja decides to join forces with him and create a ninja team for even more scheming. Ninja, Ninja, Never Stop! is a charming picture book with a humorous rhyming story that preschoolers will enjoy chanting along with parents,. 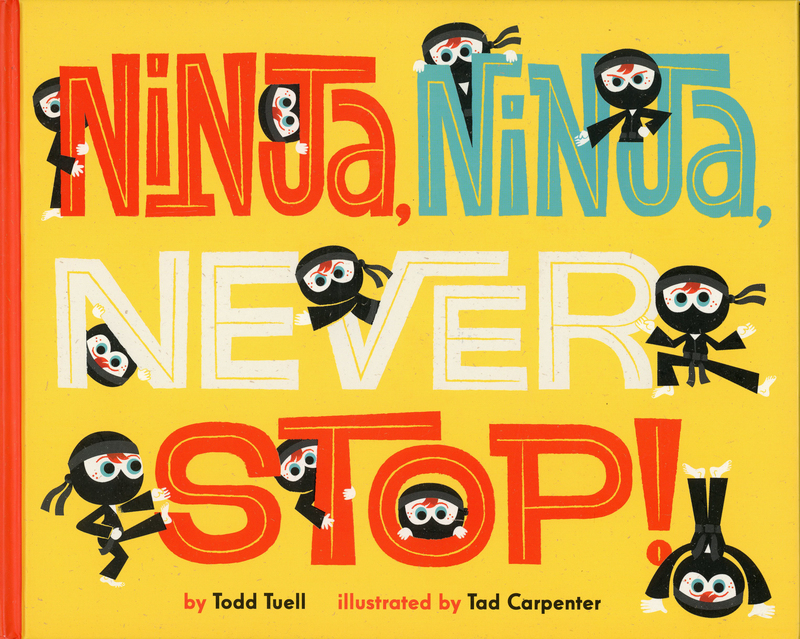 The bright, bold colors and fast action of the illustrations — created by well-published Tad Carpenter — make each page a fun experience. Author Todd Tuell lives in Broomfield and is the co-regional advisor for the Society of Children’s Book Writers and Illustrators Rocky Mountain chapter. 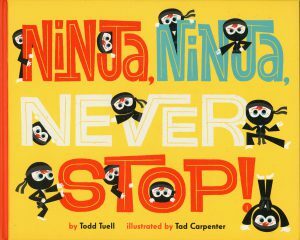 Pick up this book, found online, for your little ninja. Seven-year-old Ty Perry is so excited to have his best friend back at school. Joseph was absent for a few months while he received leukemia treatments and now Ty was ready for things to get back to normal — exactly as they were before Joseph left. But Ty’s family wisely reminds him that the only thing in life you can be certain of is change and that he should try to expect the unexpected. Two things Ty is not fond of: the unexpected and change. So as soon as Ty walks into school and sees all the attention Joseph is getting from their classmates, Ty begins to feel uneasy. Things certainly don’t appear to be the same. As Ty struggles to understand this new situation and to decipher his own emotions, he relies on his mom and older sisters to help him navigate this unwelcome change. As he and Joseph attempt to reestablish their friendship, they partner together to catch a bird for Ty’s baby sister, and things get exciting. 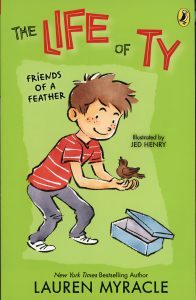 The Life of Ty: Friends of a Feather—available online—is a fabulous chapter book that is not only a fun, interesting read but also a perfect starting point for conversing about how to handle change, especially when it involves a friendship. Great for boys and girls ages 6-9, the story also offers glimpses into Ty’s emotions and how he is still learning to understand what he is feeling and why. Bestselling author Lauren Myracle, who lives in Colorado, has also written two additional books in this series, as well as other young reader and teen fiction. The farm is a busy, exhilarating place where all kinds of animal mamas and their babies can be found. 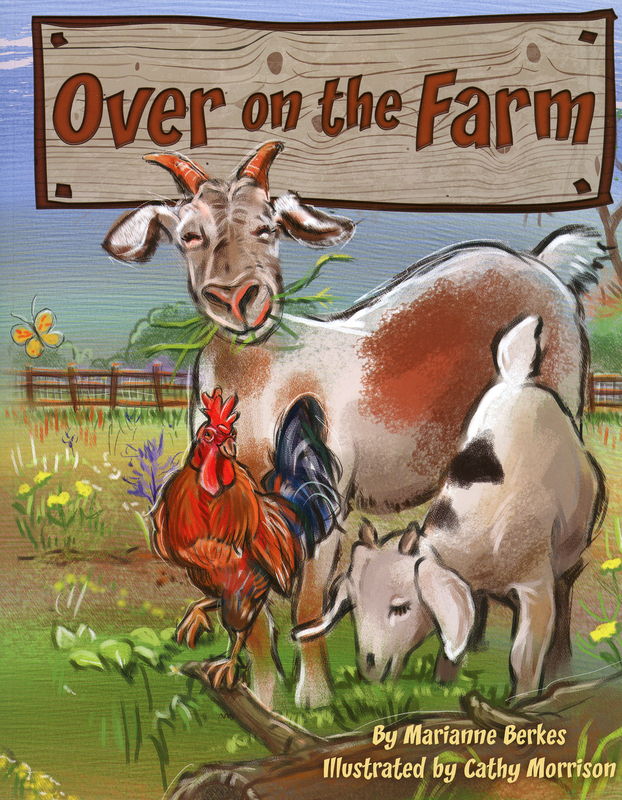 Take a journey to discover what the animals are called, how many there are and what sound they make in Over on the Farm. Presented as an energetic rhyme that can be either spoken or sung to the traditional tune “Over in the Meadow,” the tale is a fun look at 10 different animals and is sure to bring a smile to children ages 3 to 8. The story begins with a mama and her one baby, with each page progressing until the last mama and her 10 babies are introduced. On each spread, quaint illustrations crafted with beautiful colors are the perfect backdrop for the rhymes, numerals and animal sounds. 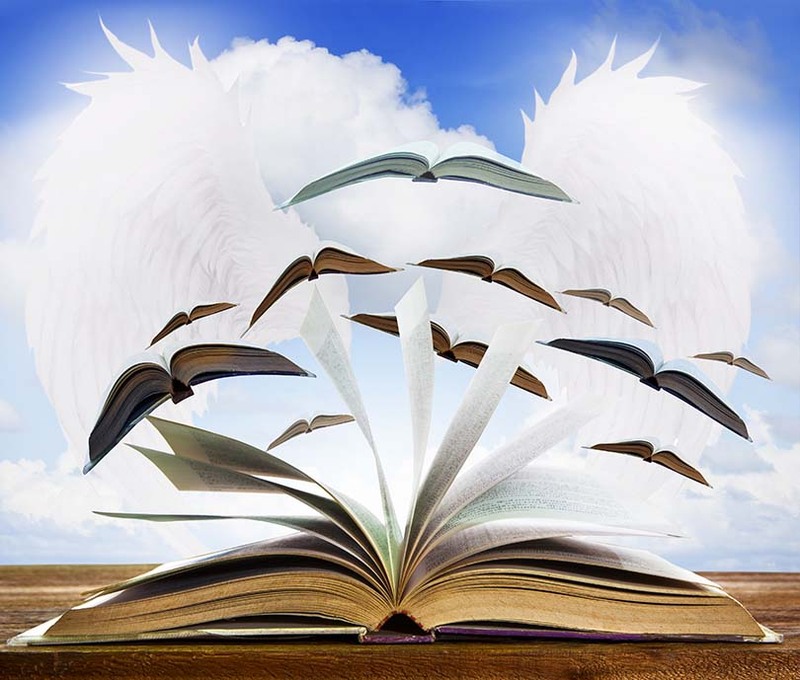 In the last part of the story, readers are given a chance to find and count all the animals and are encouraged to search for a hidden surprise on previous pages, ensuring a fun and engaging experience every time the book is read. Author Marianne Berkes, who has experience as an early childhood educator, children’s theater director and children’s librarian, gives parents and educators six additional pages of information and hints to facilitate more discussion, songs and activities about animals on the farm. She wrote other “Over” books set in a variety of unique habitats. 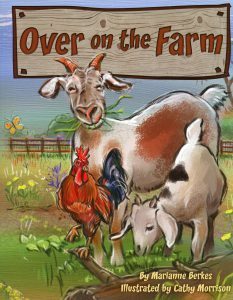 Over on the Farm, available at local bookstores and online, is another beautiful book enhanced by the award-winning Colorado illustrator Cathy Morrison, who was included in previous CCL book review issues. Every year, a Great Horned Owl named Gulliver sits on her eggs in her nest at the Wild Bird Center. Without a mate, though, her eggs never hatch. 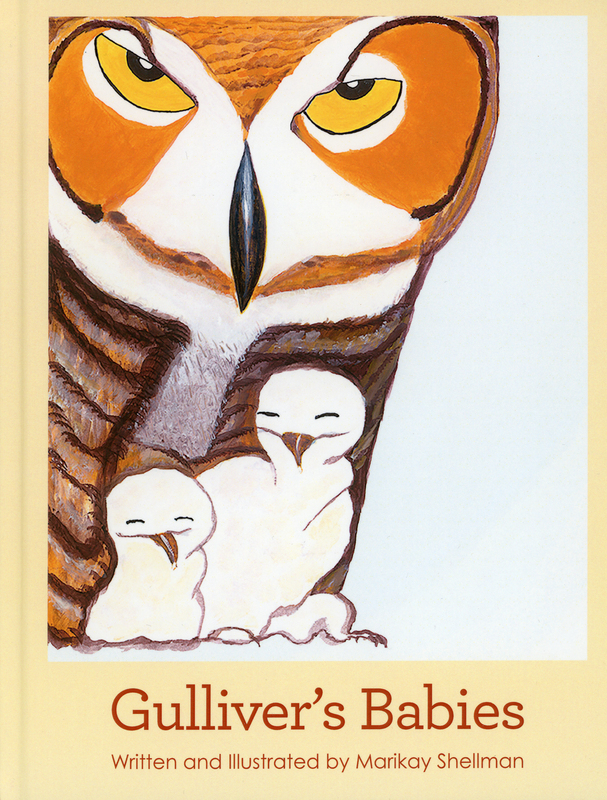 But one day, Gulliver’s caretaker received a phone call that two owl eggs were found without a mama to care for them. In a flash, Gulliver’s eggs are switched with the live eggs. Gulliver continued her daily routine of sitting on the eggs until one day…peck, peep. Out popped two owlets. Gulliver is a mama! The next 11 weeks were a flurry of activity, as Gulliver and her owlets experienced a new life together. In the children’s hardback Gulliver’s Babies, kids and adults alike will enjoy following the journey of the Great Horned Owl Gulliver as she becomes a foster mama to two owlets who were rescued from the wild. The educational, fascinating story is not only beautiful but true. Gulliver, who lives at the Avian Reconditioning Center in Florida, suffered a broken wing in 1986 but, after recovering at the ARC, could no longer live in the wild. She since raised more than 250 owlets. Author and illustrator Marikay Shellman, whose sister Carol is caretaker and founder of ARC, has resided in southwestern Colorado for nearly 45 years. Purchase Gulliver’s Babies via Marikay’s studio website at magpieacresstudio.com and at select retailers in Durango: Maria’s Bookshop, White Rabbit Books & Curiosities, Dietz Market and the Durango Arts Center. 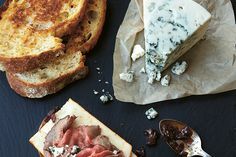 A portion of the sales will be donated to ARC. A lovely young princess and her family decide to go camping, which brings a plethora of questions and curiosities about what the princess does when she’s in the great outdoors. From preparing for the trip, to the journey to the campsite, to playing, eating and exploring, the happy princess tackles everything with an infectious excitement. 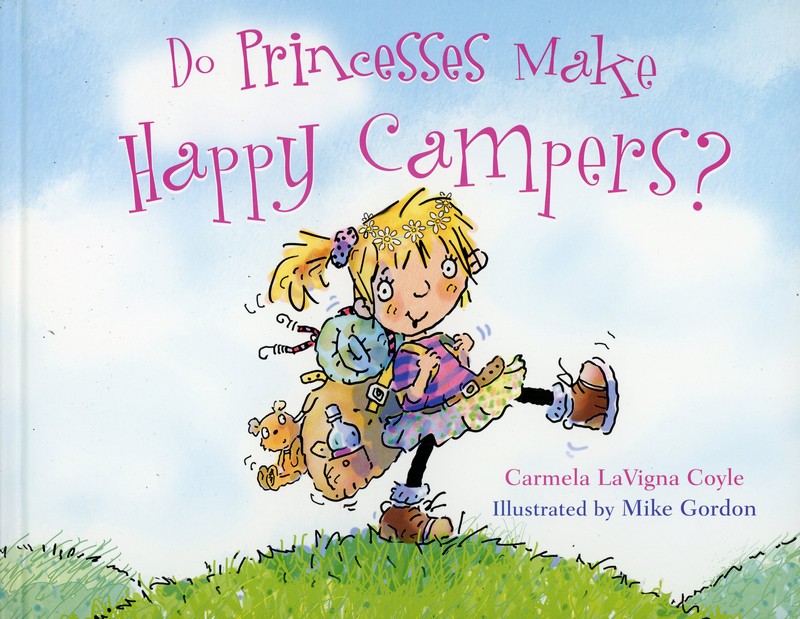 Author Carmela LaVigna Coyle presents the sweet story in a rhythm that simply rolls off the tongue and pairs well with award-winning illustrator Mike Gordon’s colorful, cartoon-like images that wonderfully show the fun and occasional humor of camping. Children ages 3-7 will find such joy in following the princess’ adventure and will certainly like the other seven books in the Do Princesses/Super Heroes series. Coyle, who spent most of her childhood in Colorado and lives in Denver, was inspired for this book series by her daughter who, at 4, asked if princesses wore hiking boots. Pick up a copy of Do Princesses Make Happy Campers? at local bookstores or order online. Brooke always has such fun when she visits Eva at her family’s castle in Austria, and sometimes they even have a bit of adventure. This time, Brooke’s brothers were joining her and her mom in the fabulous country and she couldn’t be more excited to take them skiing. But before they even arrive, Brooke and Eva spot a suspicious car with two strangers inside who seem to be following the girls. Brooke’s brothers soon brush their suspicions off as overactive imaginations, but when Brooke and Eva overhear the strangers discussing a sinister-sounding plan, the girls can’t help but be scared. As the strangers keep showing up, the girls try to get out of the family outing to the crowded Christmas market, but find themselves forced to go where the strangers might be waiting for them. A creepy cemetery, hiding in a secret room and a scary chase are all part of the girls’ escapade. 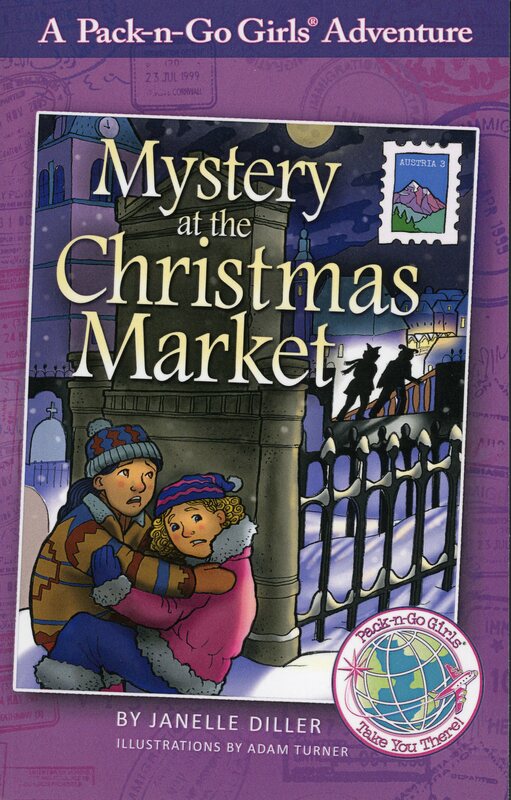 In the third book of the Pack-n-Go Girls Austria Adventure series, Mystery at the Christmas Market, author Janelle Diller once again does a fabulous job of blending an enticing read with interesting geographical and cultural information. Diller, who alternates her residence between a house in Colorado and a sailboat in Mexico, writes for ages 6-9 and loves to share two of her passions in this series: writing and traveling. Adam Turner adds a wonderful touch to the intriguing chapter book with his black and white illustrations. Go on an adventure with Brooke and Eva by purchasing the book online and finding more resources at packngogirls.com. 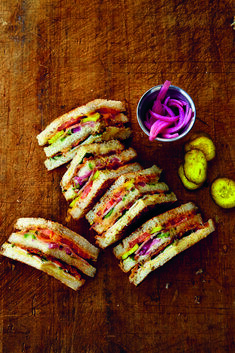 Jennifer Nelson is a freelance writer/editor in Dallas, Texas. Her first post-college job was at CCL, which is one reason Colorado holds a special place in her heart. Jennifer loves curling up with a good novel, as well as reading with her 4-year-old daughter, who enjoyed sharing her own expert opinion about the children’s books reviewed here.